Travel Czar is very supportive of various amazing causes and today he is off to see a movie event run by the good people at African Enterprise (proceeds from the event going towards reconciliation and peace building projects in South Sudan.). It is never good to go to the movies on an empty stomach – so Travel Czar heads to Radio Cairo to have a pre-theatre meal! Now Radio Cairo is amazing, it’s this hip Moroccan/Jamaican restaurant in Cremorne. It’s an absolute hoot with the locals and offers the perfect sandwich between a busy day in the office and a riveting movie night. Now the place has a family feel. The girl that greets me at the door is super friendly and shows me to my seat. She’s also beautiful and has this lovely fringe (a bit like Linda Evangelista). 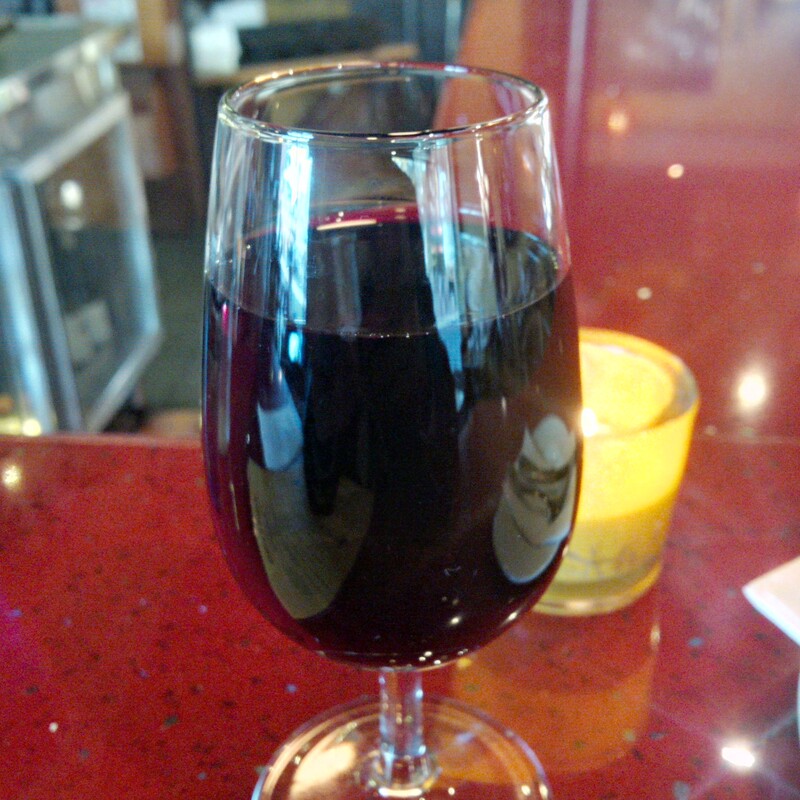 I order a couple of glasses of the Maretti Barbera Langhe Nebbiolo. The wine is a blend of barbera and nebbiolo from the Piedmont region (it’s in Italy’s north west if you haven’t been there before). The wine has light hints of dark cherries, anise and various dried herbs. It’s juicy, well balanced but there is some tannic in the finish. First it’s the Jamaican Patties. 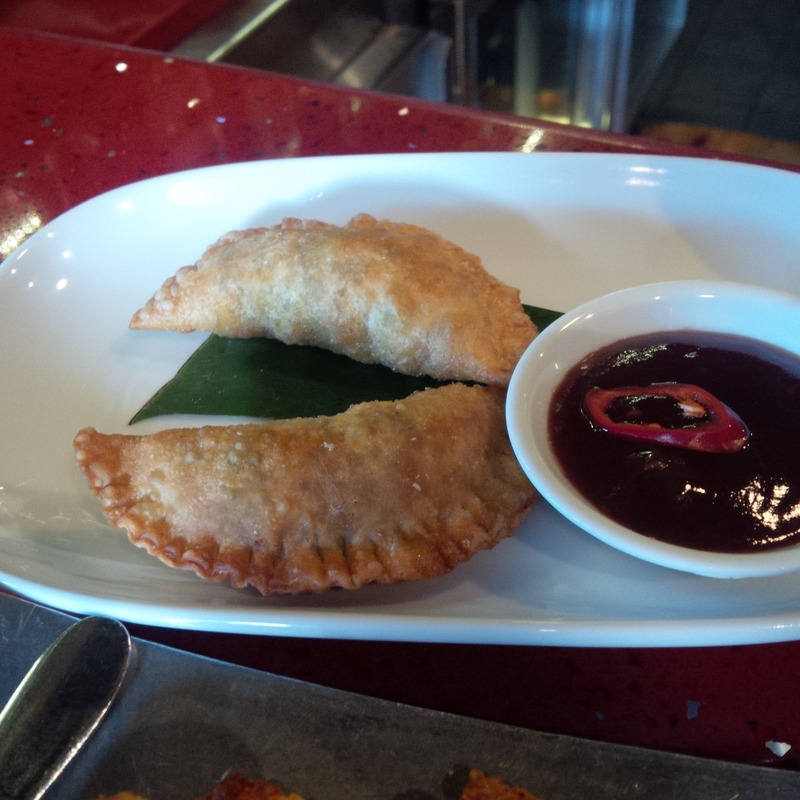 These are West Indian yam & mixed vegetable pastry cases served with hot dipping sauce. The crispy coating of the patties are perfectly combined with the soft creamy yam filling. The spicy sauce adds a little kick which the dish really needs. 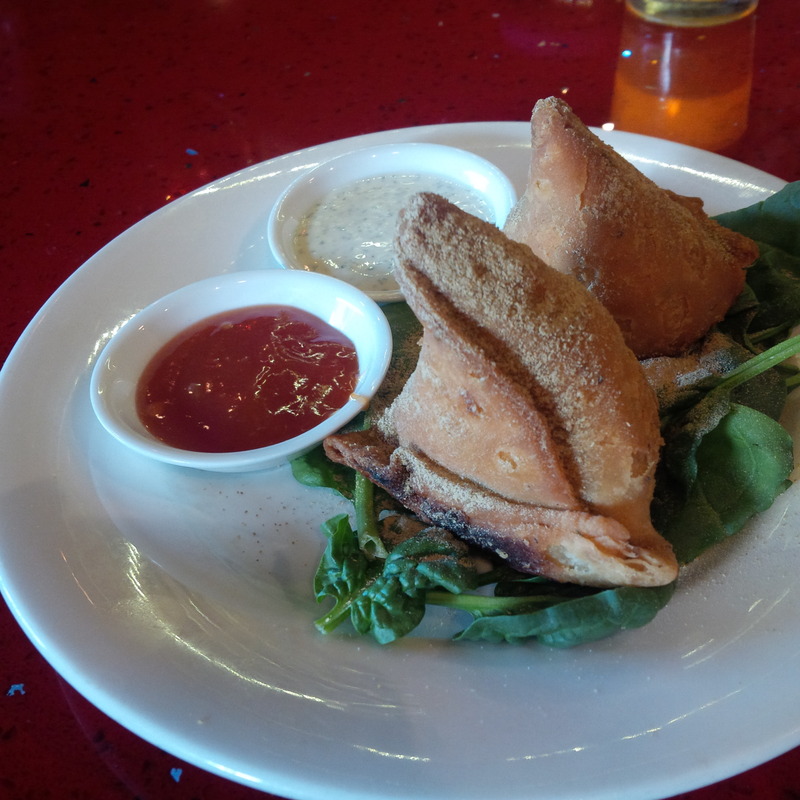 I then have something from the specials menu beautiful Pea and Potato Samosas. Soft potato and peas with a light spices (actually not spicy at all) filling encased with the crunchy outer pastry. These were quiet nice but didn’t really compare to the other dishes I had. Then it’s the New Orleans style seasoned shrimp & spicy apricot sauce. 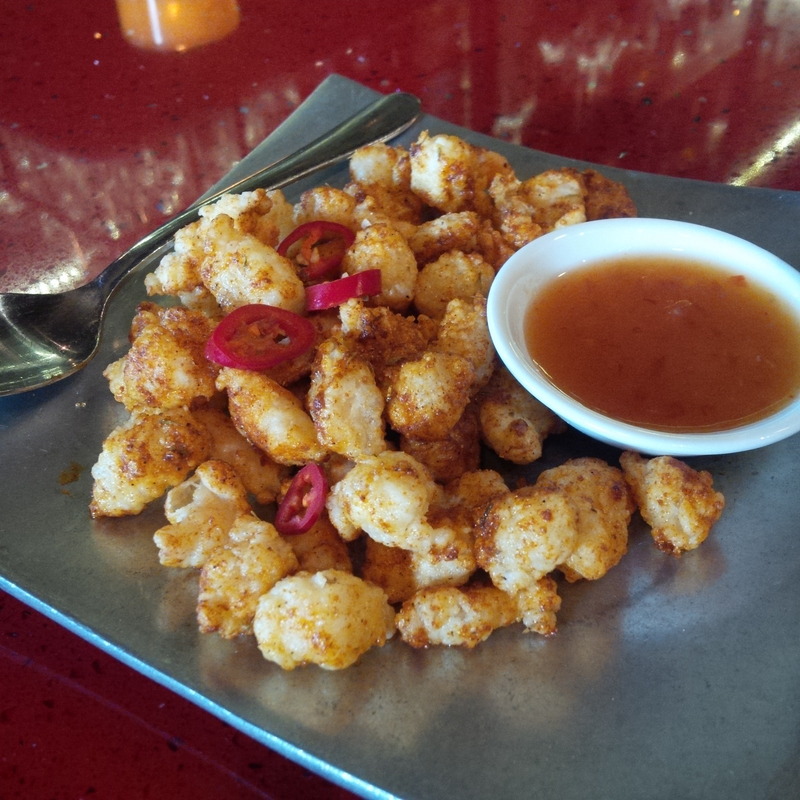 The tender but firm prawns are seasoned with with a spicy coating then dipped into a lovely sweet apricot sauce. The sweetness of the sauce provides some balance to the spicy seasoning. The cajun seasoning which lightly cover the prawn and the lovely succulent prawns provide a gentle mix of textures. The dish receives full marks on taste, texture and aesthetics. 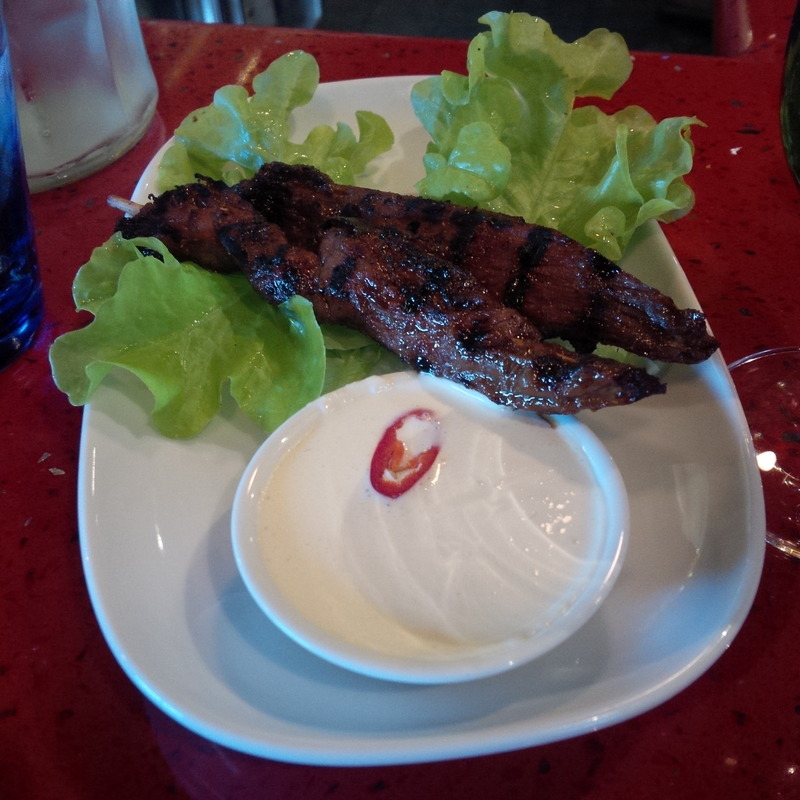 Lamb Sosaties – Grilled fillets of lamb marinated in spicy apricot, sauce with sour cream & chilli. The lamb skewers have a smokiness attached to them from the grill, and a the sweet apricot marinade pairs amazingly well giving a nice fusion of flavours as the juices of the lamb interact with the sweetness of the marinade. So ends a beautiful meal and I’m off to see the movie. I really rate Radio Cairo – it’s such a lovely restaurant. 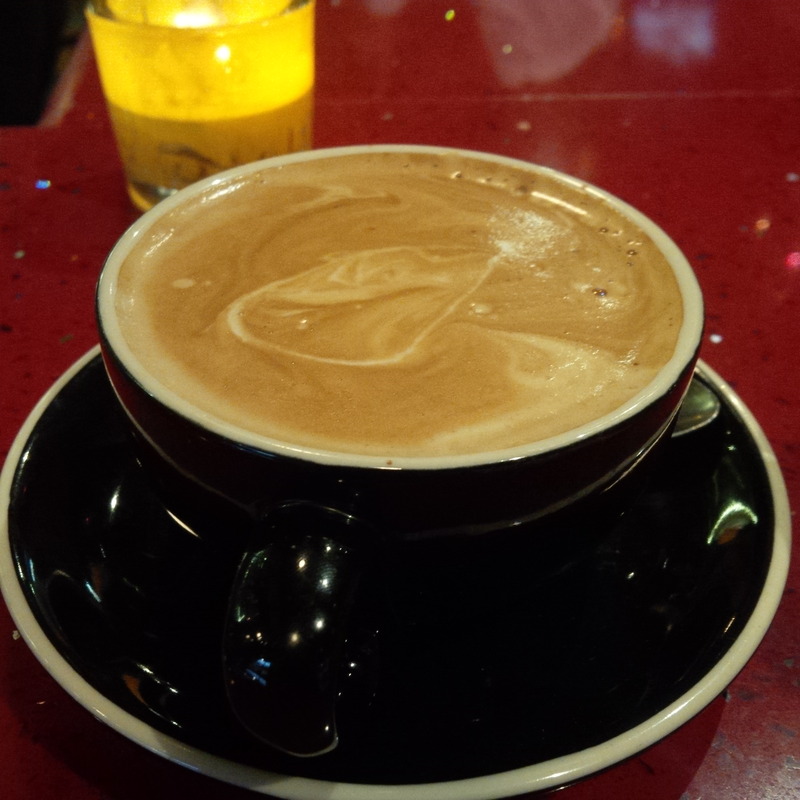 I have a quick coffee to offset the wine, then head for my movie. On a side note, of you want to support African Enterprise here is their website.